There are yoga teachers, and then there is James... With a glorious voice and fluency in sanskrit, he has a special gift for bringing the traditional teachings of yoga to life in ways that are relevant, practical, and downright magical. Without exception, I leave his sessions feeling uplifted, energised, and infused with a sense of wellbeing and happiness. 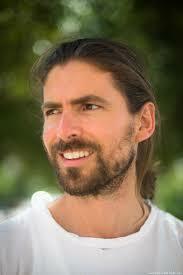 Now an international yoga teacher, James Boag originally hails from Pickering and is our home grown Ryedale guru. Each time he returns to his roots, he offers bespoke yoga events. I host several of them myself, so if you want to try the Boag man, sign up for my newsletter and get along to my Gorgeous Granary next time there is an offering. He is undoubtedly an unmissable treat and let's face it: there is also the eye candy! !